Yesterday morning I got up early and went down to Ambrose Park for a walk. This was actually my second visit to Ambrose this week; I was down there on Saturday morning as well, for the Keep Truckee Meadows Beautiful Great Community Cleanup, and it was fun to explore this seldom-visited park in the springtime. Ambrose Park is tucked away in a neighborhood located off of Mayberry Drive, just west of McCarran Blvd. It’s a small park, with no bathrooms or picnic tables, but it has good river access and nice sitting-spots. 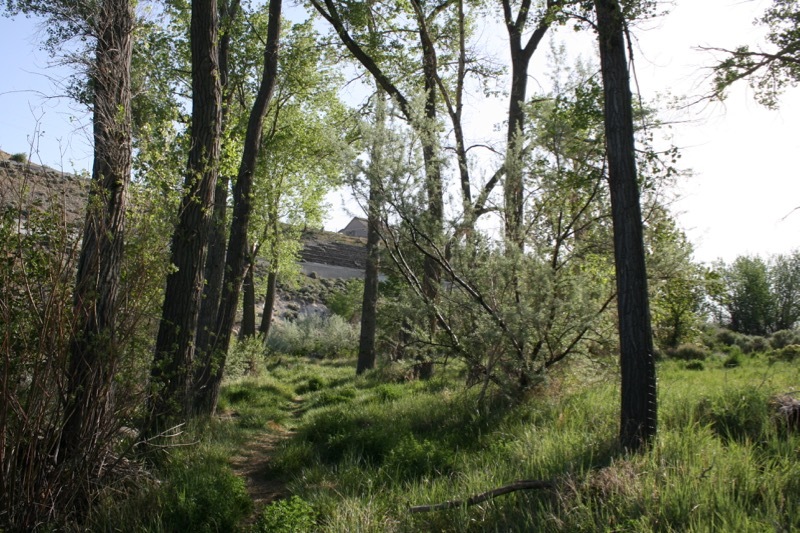 There are no developed hiking trails here, but there are paths criss-crossing the area that you can use to go exploring, lush riparian (riverside) vegetation, a grassy meadow with patches of wildflowers, and a big upland sagebrush area. The Truckee River at Ambrose Park, Reno. May 5, 2015. I wandered down to the river channel with my dogs, who splashed around like maniacs for a while. I put them back in the car and took a stroll through the sagebrush. The sun felt summery warm, but the breeze still had the fresh chill of morning. 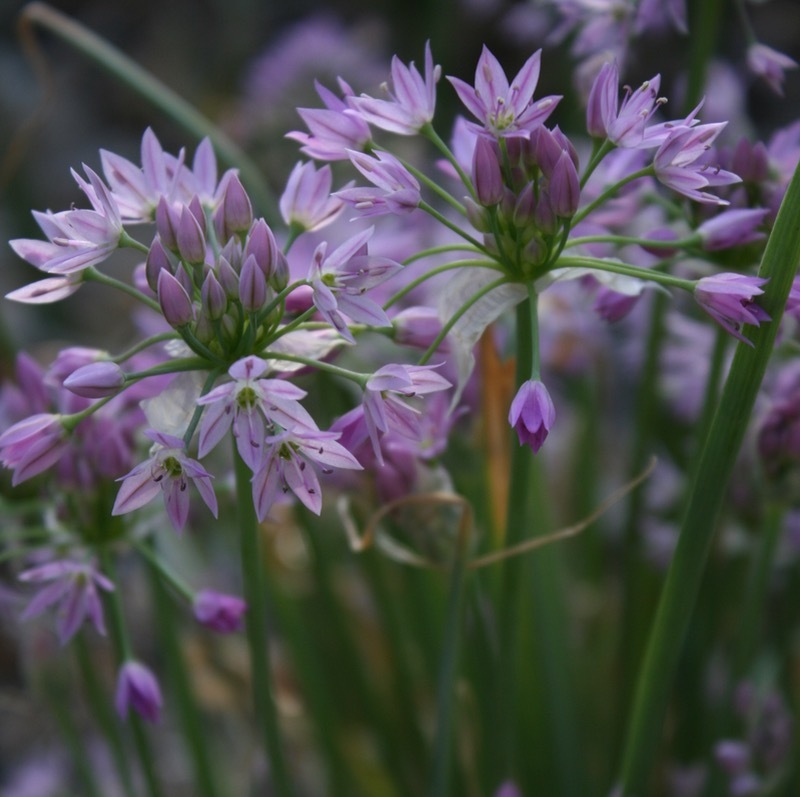 Tucked away against the sagebrush, I came across a big patch of blooming Twincrest onion (Allium bisceptrum), with pink star-shaped blooms. Farther down the path, I surprised a mule deer, munching on sagebrush. Twincrest onion (Allium bisceptrum), Ambrose Park, Reno. May 5, 2015. Hello! 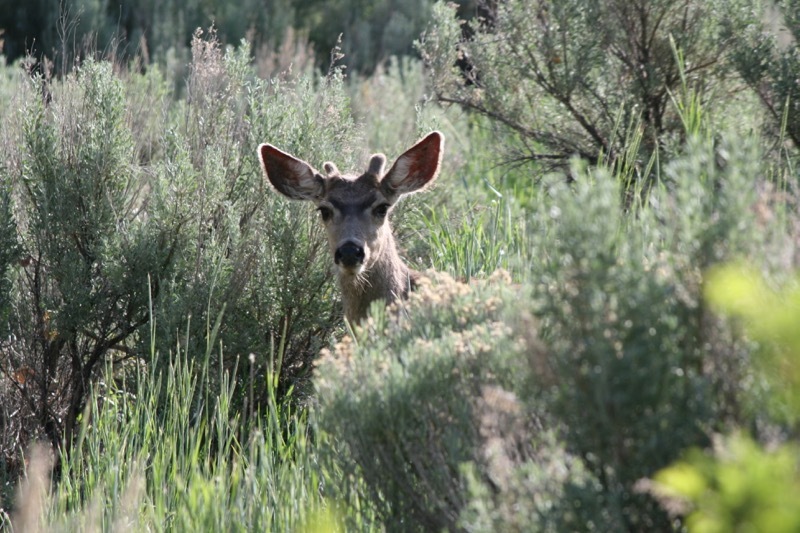 Mule deer, Ambrose Park. May 5, 2015. 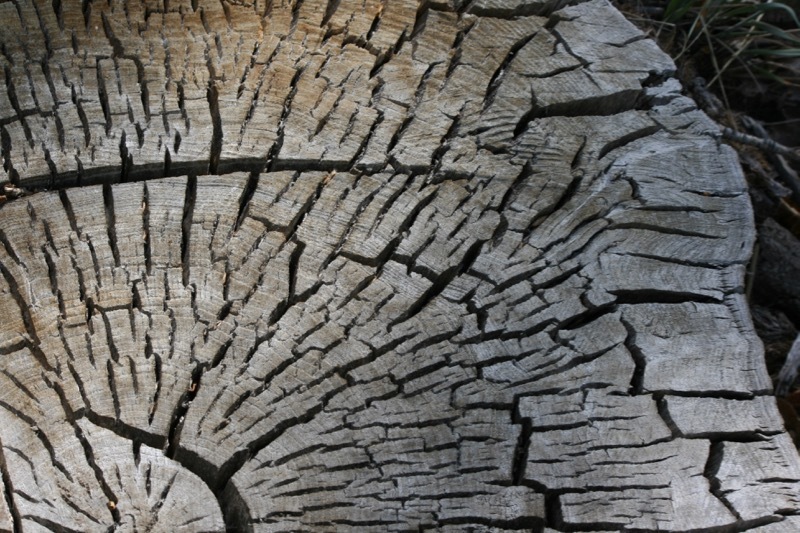 I walked into the meadow, and sat down on the stump of an old cottonwood, cracked and sun-bleached. California Quail called from the bushes. Behind them, the river bubbled. A light breeze made the leaves in the tall cottonwoods dance. Somewhere nearby, a Kingfisher chattered. Sitting on my stump in the sun, breathing in the minty scent of the white sagebrush (Artemisia ludoviciana) that I stepped on to get here, I took it all in — the cloudless sky, light and sunny to the east, and deeper blue to the west; life, proceeding at a completely normal pace. Spring in Ambrose Park, Reno. May 5, 2015. 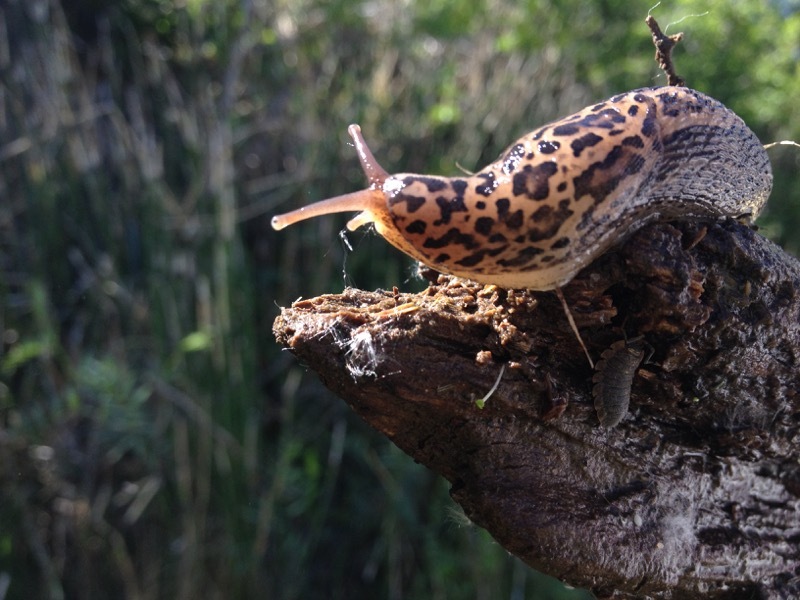 Leopard slug (Limax maximus) in Ambrose Park, Reno. May 2015. When you feel like you have too much to do, as most of us do, all the time, I would argue that there is nothing more enjoyable than doing none of it, and sitting on a stump, basking in the sun, counting tree rings. I looked down and counted: there were 94. Some wide, some narrow — a reminder etched into tree fibers that this 4-year drought is not the Truckee’s first. We live in a desert, after all. Across the river, cars rushed by on 4th street, headed for town. And I sat, enjoying the temporary luxury of sitting and experiencing this most excellent part of spring — not because I had nothing else to do, but because everything else would still be there in 20 minutes. We all make these choices. Cottonwood stump, Ambrose Park. May 5, 2015. 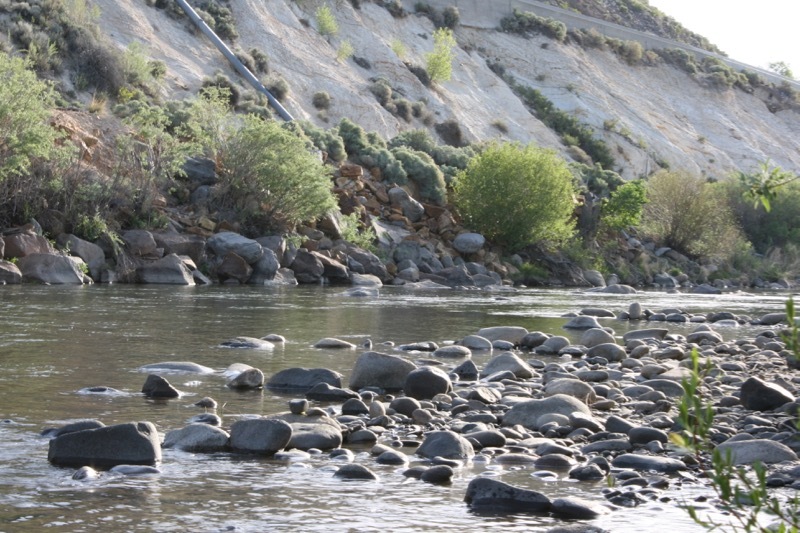 Where are your favorite Truckee River hangouts? I like the area around the Fleish dam and bridge on the Tahoe-Pyramid bikeway. I went there for the rock climbing, but came to appreciate just hanging out in that spot where the freeway is just far enough away to forget about, the Ponderosas give shade, and the terrain is varied. It is beautiful back there! I haven’t been over there in about a year, because that bike trail was closed for a while…must try to get up there someday soon!